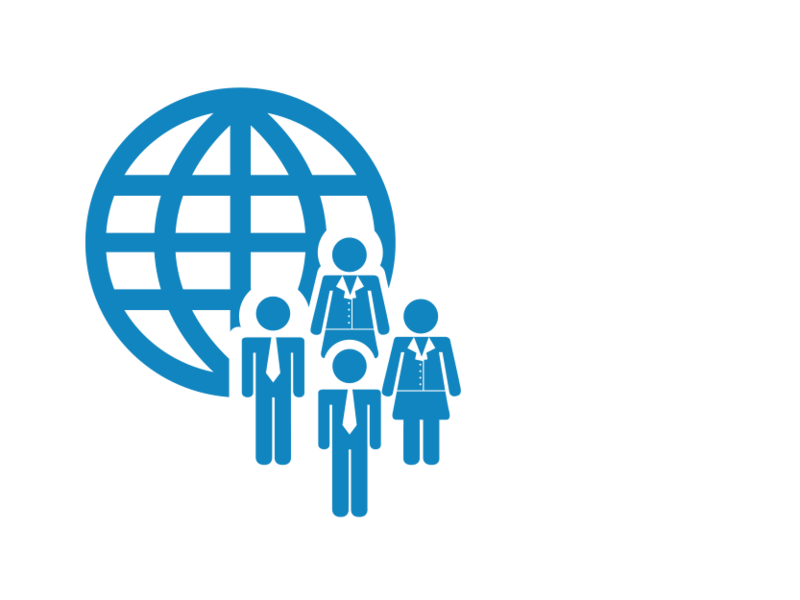 We believe those leaders who have a global view, cultural awareness, peer networks, and the ability to collaborate, produce better outcomes. 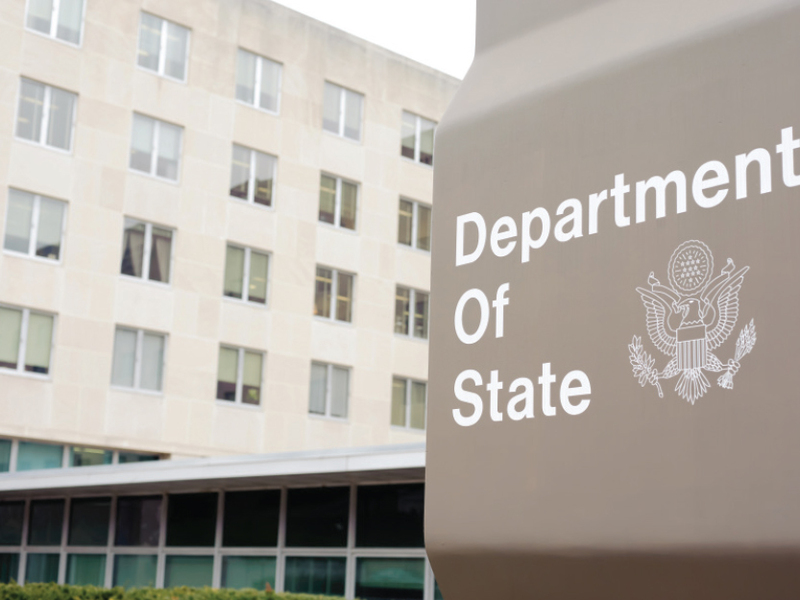 Meridian is a diplomatic and global leadership institution that strengthens U.S. engagement with the world and accelerates collaboration through the exchange of leaders, ideas and culture. 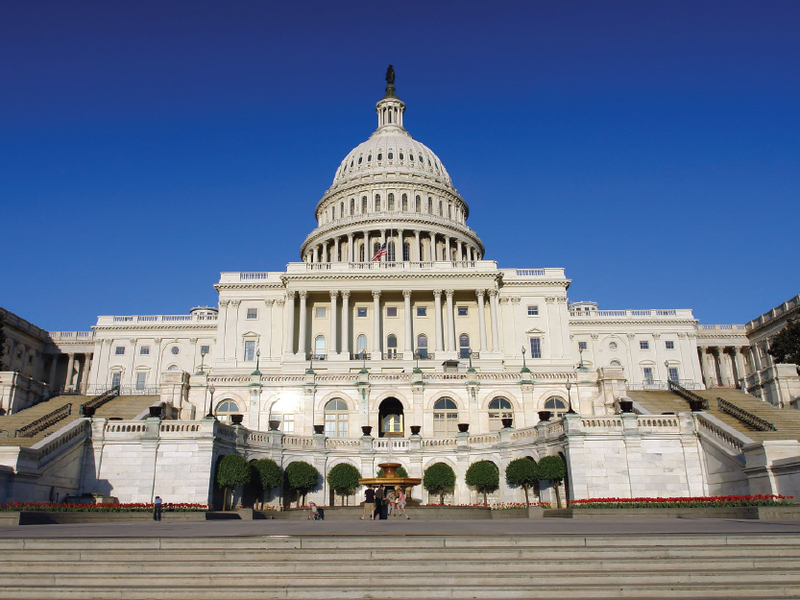 Founded over 55 years ago as a non-partisan, non-profit organization, Meridian works with governments, the private sector and the diplomatic community to develop exchange, training, culture and convening programs to help leaders better address global challenges and opportunities. 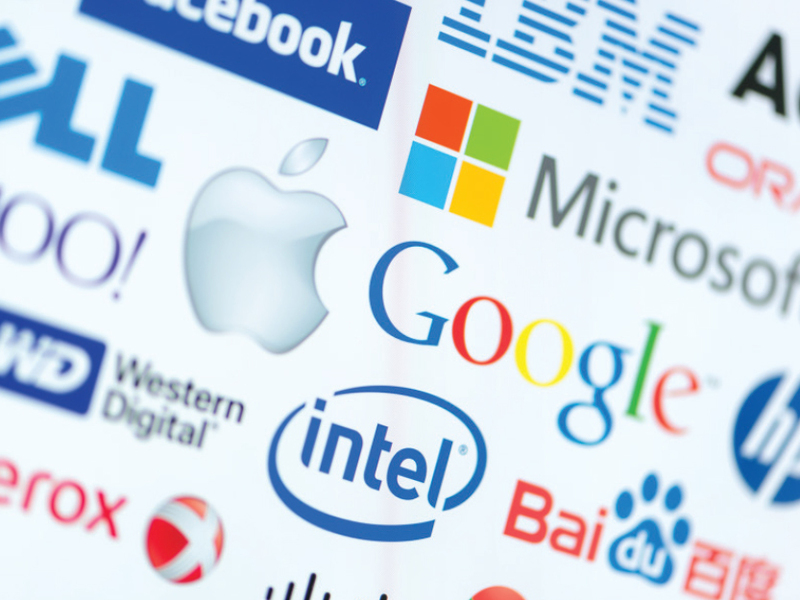 We envision a more secure and prosperous world characterized by mutual understanding, innovation, economic growth and inclusion. 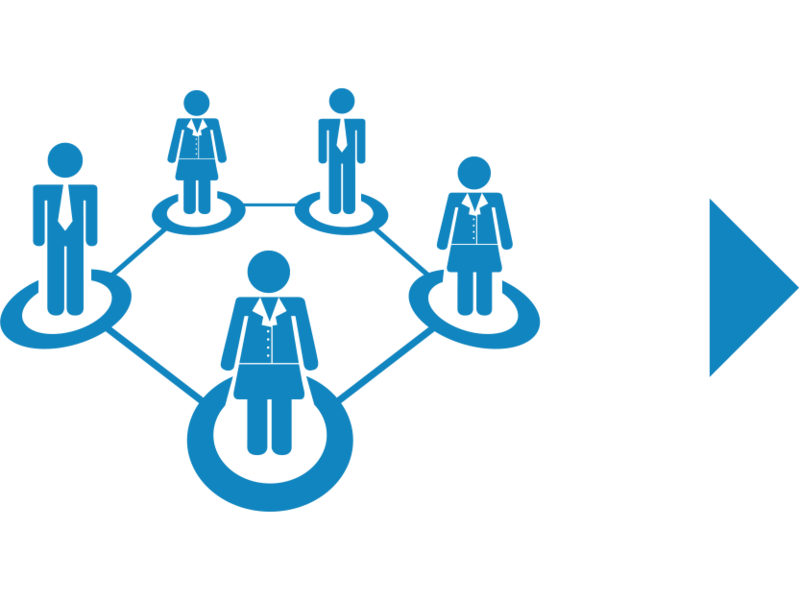 The path to realizing this vision is through more effective and connected public and private sector leadership at all levels. 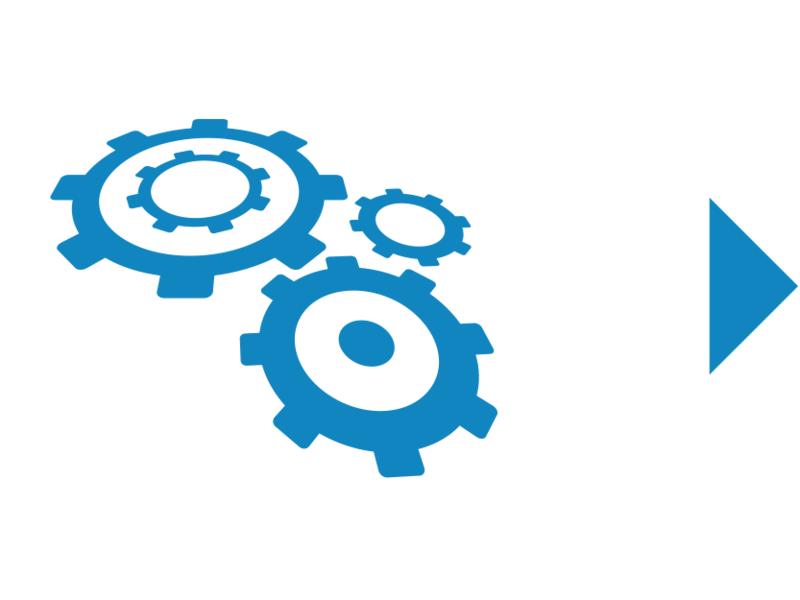 Meridian’s integrated programming approach provides leaders with a variety of platforms in neutral environments to develop an informed global view, cultural awareness and collaborative peer networks to produce better outcomes. 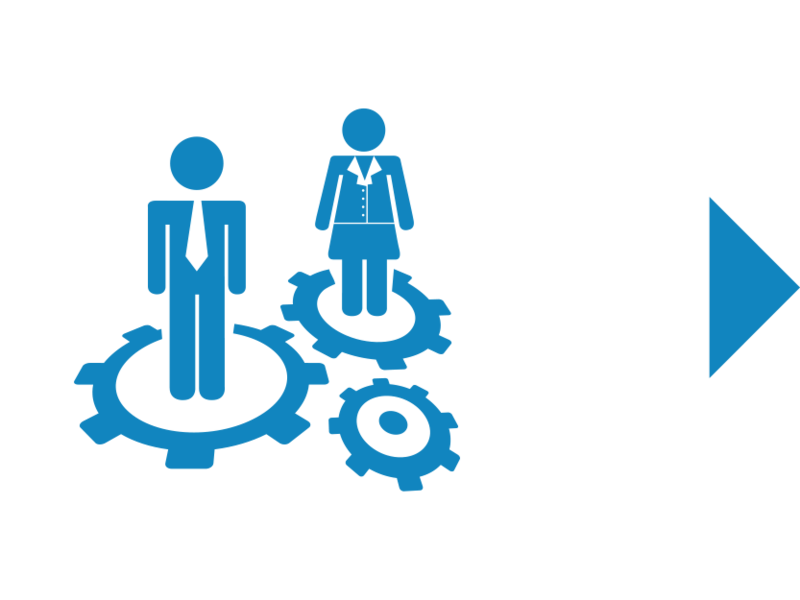 When leaders return home and implement change, the impact of Meridian’s programs is amplified across numerous arenas, including women and girls’ empowerment, business and trade, human and civil rights, and energy and the environment. 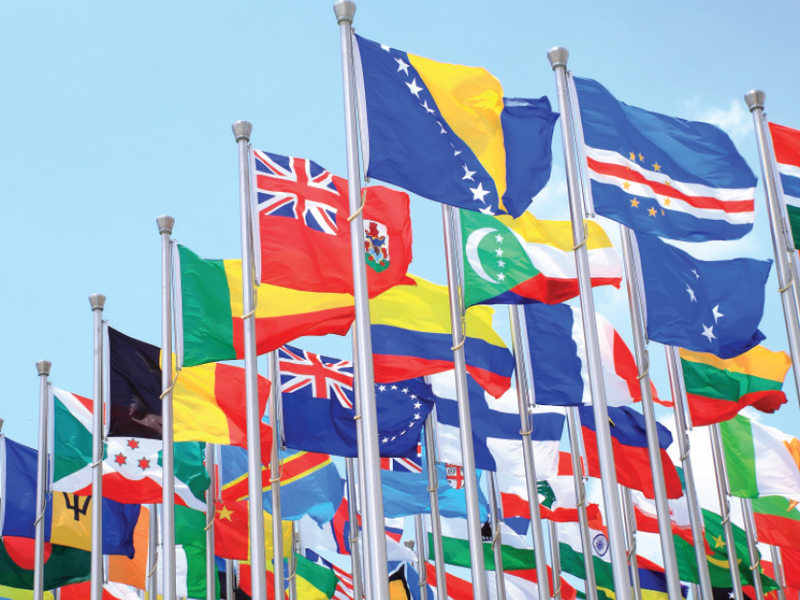 Directly impacting the quality of life for people around the globe, these issue areas are pivotal to Meridian’s vision of a more secure and prosperous world today and for generations to come. 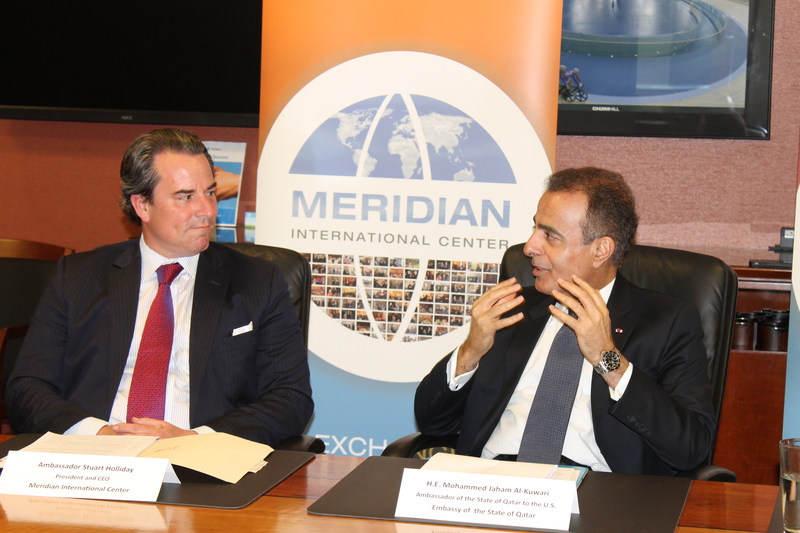 Meridian partners with the public, private and diplomatic sectors to develop exchange, training, culture and convening programs that help leaders address global challenges and opportunities. 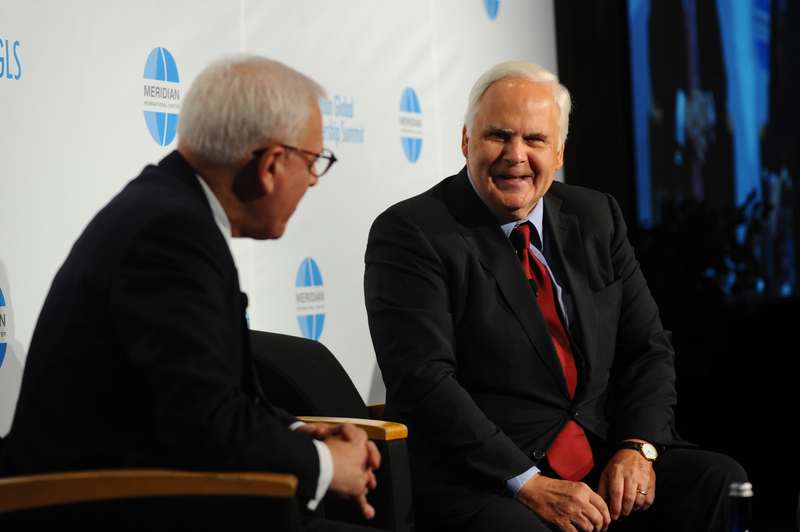 The Carlyle Group Founder, David Rubenstein interviews FedEx CEO, Fred Smith at the Meridian Global Leadership Summit. H.E. 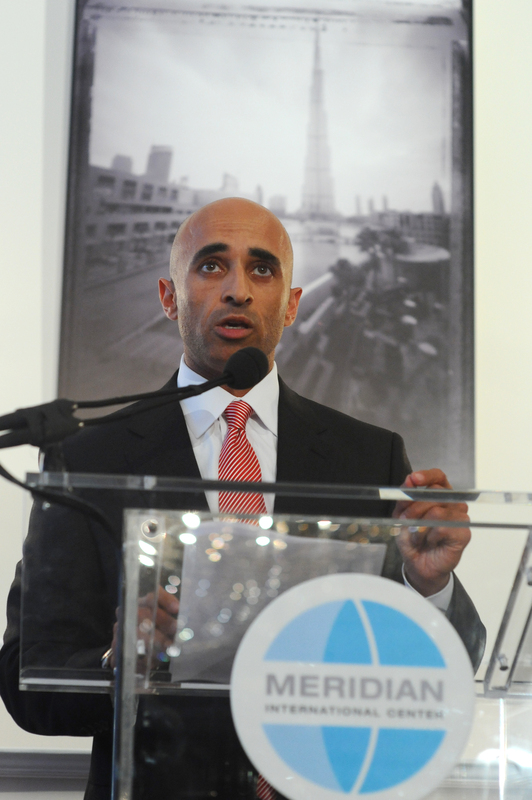 Yousef Al Otaiba, Ambassador of the United Arab Emirates, inaugurates the Past Forward: Contemporary Art from the Emirates, a joint initiative of Meridian and the Embassy of the United Arab Emirates. 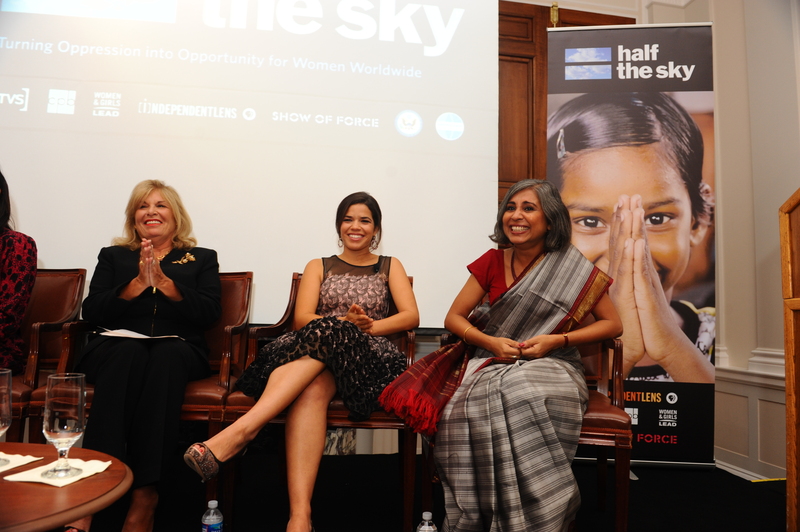 Actor, America Ferrera and New Light Founder, Urmi Basu join Meridian, the Independent Television Service and the Corporation for Public Broadcasting for the DC premier of Half the Sky. H.E. Mohamed Bin Jaham Al Kawari, Ambassador of Qatar meets with Meridian’s Corporate Council to discuss doing business in his country. 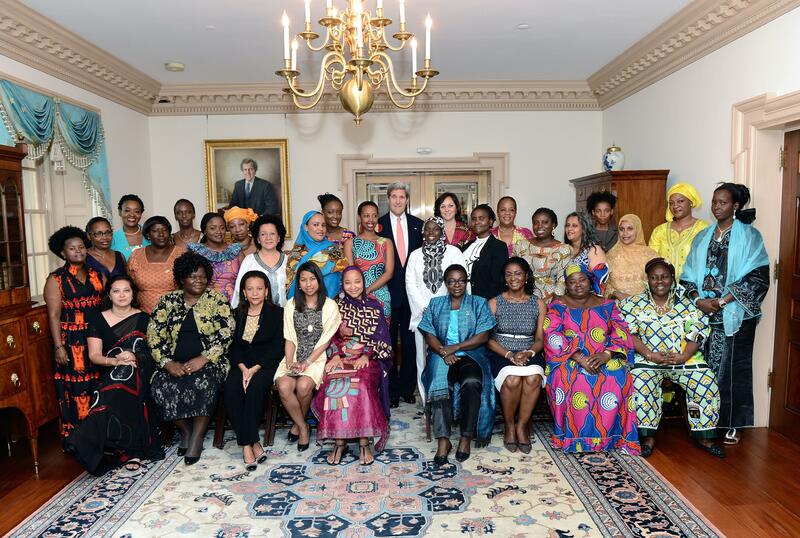 U.S. Secretary of State, John Kerry meets with IVLP participantsfrom the African Women’s Entrepreneurship Program. 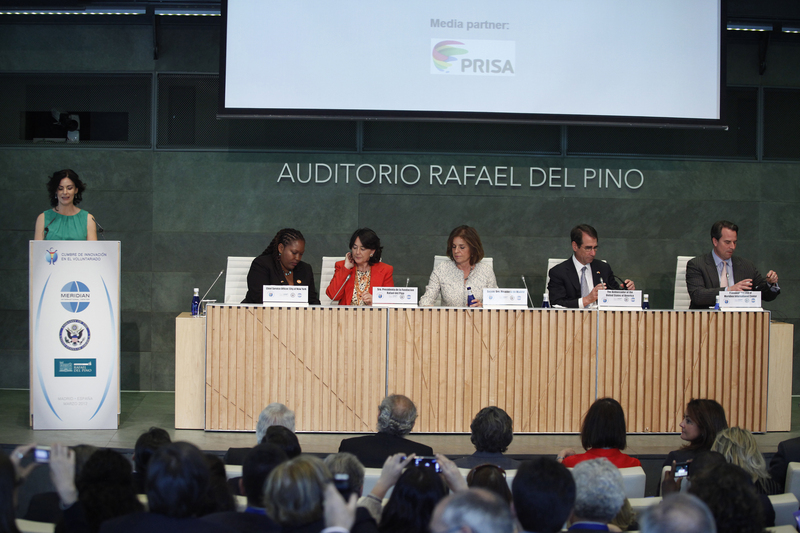 The Service Innovation Summit in Madrid was a great success, bringing together service leaders from across the United States and Spain to explore the possibilities and benefits of volunteering in both nations.